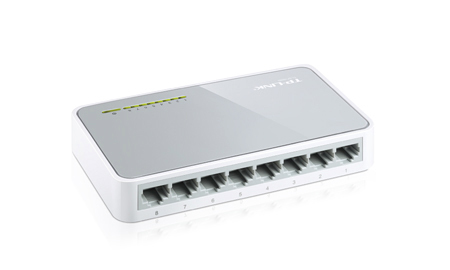 The TP Link TL SF1008D 8 Port 10/100Mbps Desktop Switch is one easy to use and highly efficient device. This switch not only uses the best technology, but also gives you the best and most efficient performance. It puts the use of innovative green technology to play, and the result is a smaller carbon footprint. This is smart technology that alters and adjusts to suit you best. Along with a great performance, you also get a clear conscience on your doing your bit for the environment. The switch conforms to the EU’S RoHS that prohibits the use of certain materials that are hazardous and also makes its packaging 70 percent recyclable. 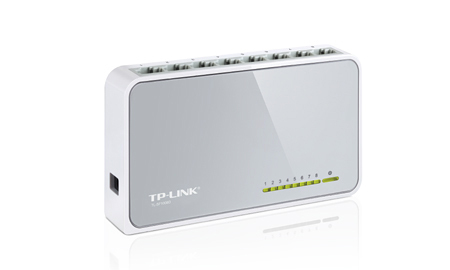 The TP Link TL SF1008D is a fast Ethernet Switch that offers 8 10/100Mbps Auto Negotiation RJ45 ports. These ports support Auto MDI/MDIX functions which subsequently eliminate the use of untidy crossover cables or Uplink ports. It features the highly effective non blocking switching architecture. This architecture forwards and filters packets at full wire speed that ensures maximum throughput. The presence of the 10K Jumbo frame improves the performance of large file transfers drastically. You are ensured a reliable performance thanks to the IEEE 802.3x flow control used in Full Duplex mode and the backpressure for Half Duplex mode that mitigates the traffic congestion. 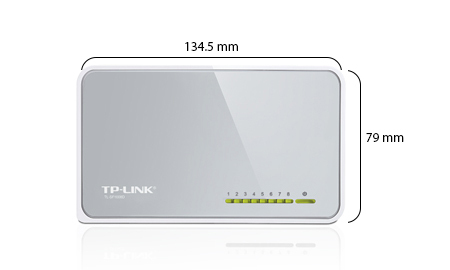 The TP Link TL SF1008D Fast Ethernet Switch uses clean, efficient, and innovative technology to give you outstanding performance. These energy efficient technologies expand your network capacity significantly and do it using much less power. 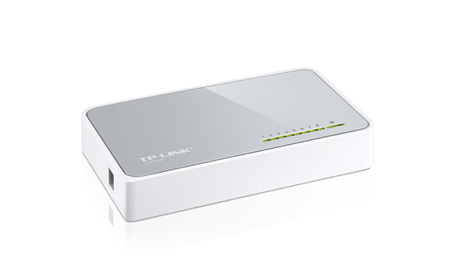 Reduce your carbon footprint as well as your bills with this Ethernet Switch that automatically adjusts power consumption based on the link status and cable length. TP Link takes a step further, and even complies with the EU’S RoHS standard that prohibits the use of specific hazardous materials. The packaging material that this little genius arrives in is also 70 percent recycled. You have the simple plug and play installation where this switch is concerned, thanks to the auto features it has. With no configuring required, this switch is hassle free and easy to set up. With the Auto MDI/MDIX, you won’t even need all those annoying crossover cables. This makes for a clutter free environment. The Auto negotiation feature on each port instantly senses the link speed of a network device and automatically adjusts for optimal compatibility and performance.